Following the success of her breakout poem, 'B,'Sarah Kay releases her debut collection of poetry featuring work from the first decade of her career. 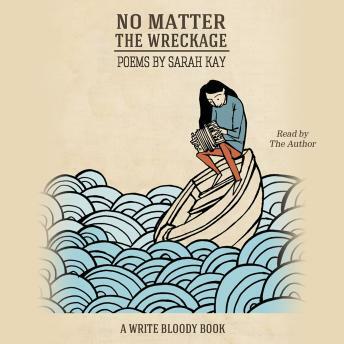 No Matter the Wreckage presents listeners with new and beloved poetry that showcases Kay's talent for celebrating family, love, travel, and unlikely romance between inanimate objects ('The Toothbrush to the Bicycle Tire'). Both fresh and wise, Kay's poetry allows listeners to join her on the journey of discovering herself and the world around her. It is an honest and powerful collection.